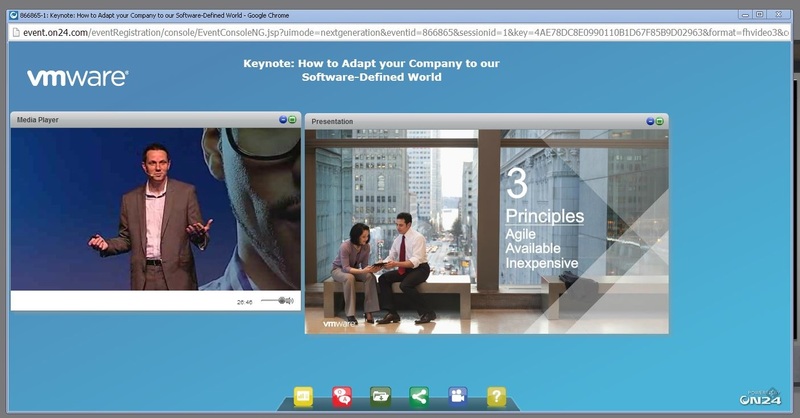 Today (18 Nov 14) I attended the VMware vForum Online Fall 2014. It is almost like a user conference, but it is all online and it is 100% FREE. 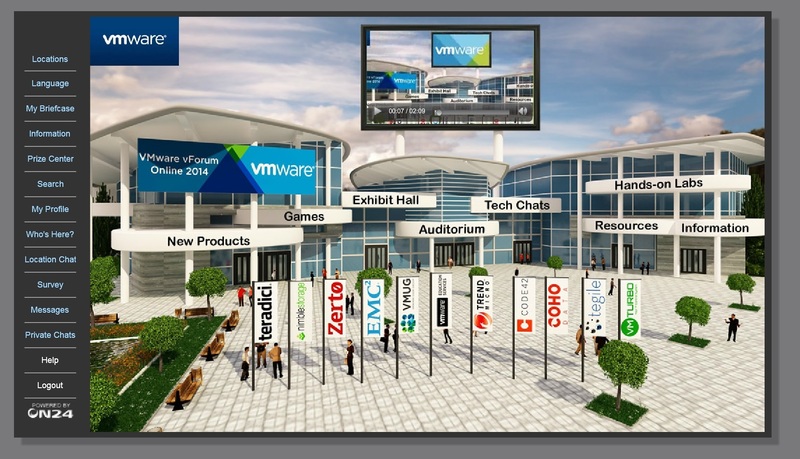 vForum hosted five hours of interactive webcasts, expert chats, and Hands-on Labs. I did not have to take off any time from work or drive anywhere. It was very convenient to have access to all these resources online in one location. After logging in you are put into the vForum Online Plaza. From here you can choose which location you want to go to. The event was kicked off with the keynote. The speaker for the keynote was VMware CTO Chris Wolf. He talked about “How to Adapt you Company to our Software-Defined World”. He also discussed the rapidly changing world of technology – a world in which software-defined solutions are redefining business and empowering companies of all sizes to deliver apps more quickly and more reliably, all while reducing costs and maximizing resources. After the keynote, you could go to any location to do things such as Hands on Labs (HOL), visit vendors, check out new products, chat with experts, download resources. The exhibit hall had lots of vendors to visit. After clicking on a vendor you could download vendor documentation, watch videos, fill out surveys or chat with vendors. Some vendors were even giving away prizes. 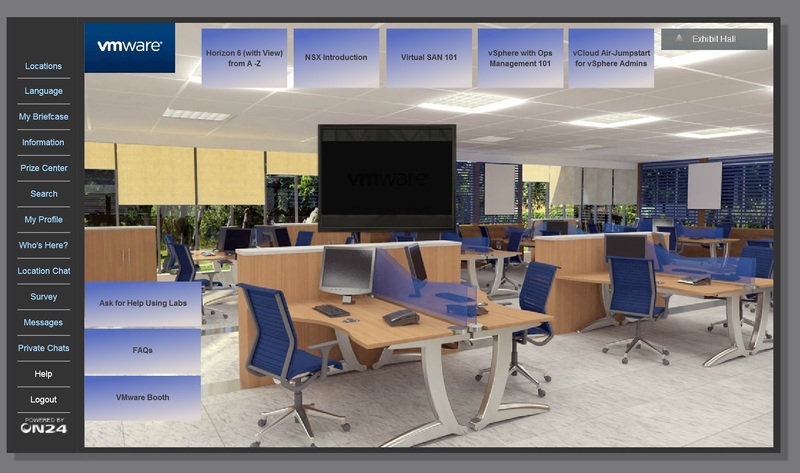 vForum offered 5 different labs – Horizon 6 (with View) from A – Z, NSX Introduction, vSAN 101, vSphere with Ops Management 101, vCloud Air-Jumpstart for vSphere Admins. Not sure why these were the only labs offered because the buttons took you directly to the Hands on Labs website. 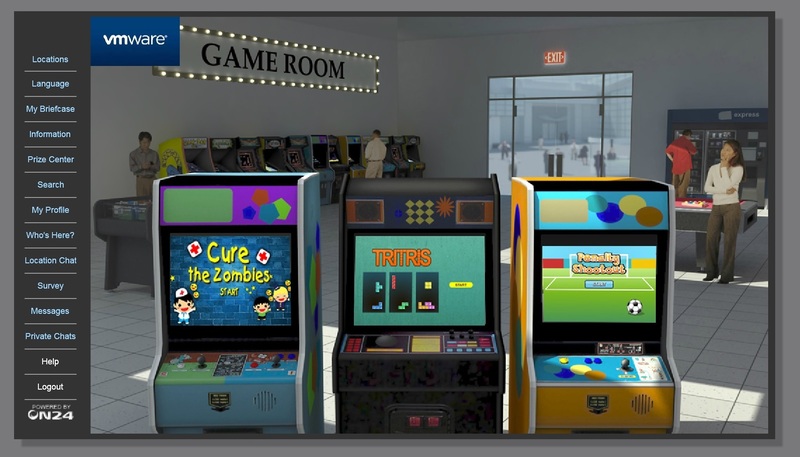 If you were board and felt like you didn’t have enough to do, there was a Game Room that had 3 games to play. I did not play any of them, so I can’t say if they were any good or not. For the full agenda of the event click here. I have attended vForum Online before. They are an awesome event to connect with vendors & access resources all in one location. You could already access most of these resources online already, but it was very convenient to have all these resources just a few clicks away. It is an event I highly recommend you attend if you have the chance. 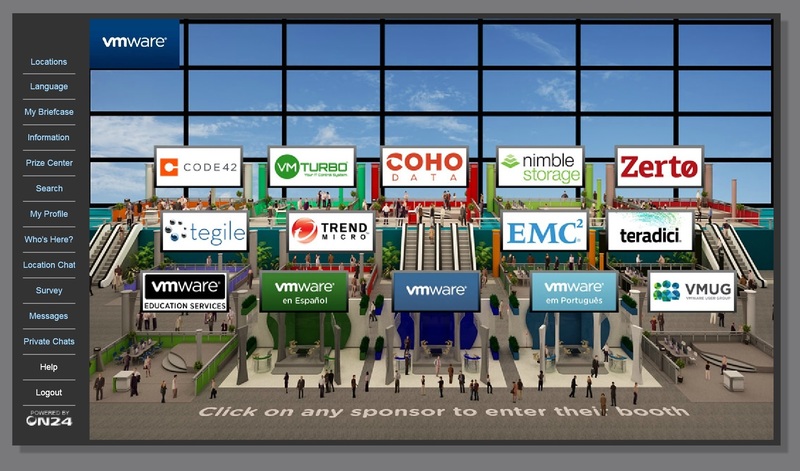 This entry was posted in VMware and tagged vForum, VMware by Marc Crawford. Bookmark the permalink.